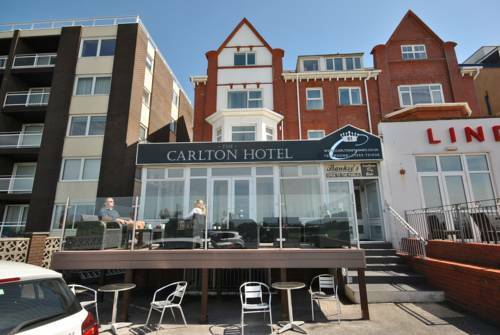 The Carlton Hotel in St Annes offers bed and breakfast accommodation in this north west coastal town, around 6 miles south of Blackpool. 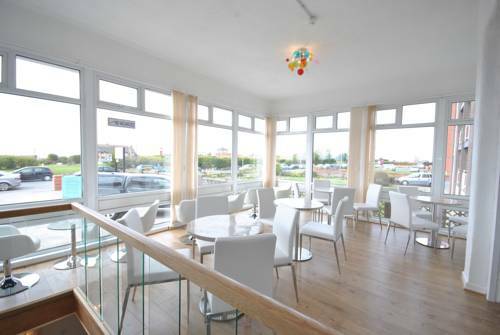 This family-run guest house has pleasant sea views and includes a bar and coffee shop looking out over the promenade. 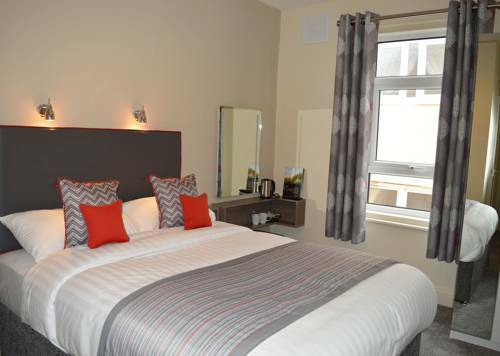 Each guest room at The Carlton has a flat-screen TV with Freeview, tea and coffee facilities and free Wi-Fi. 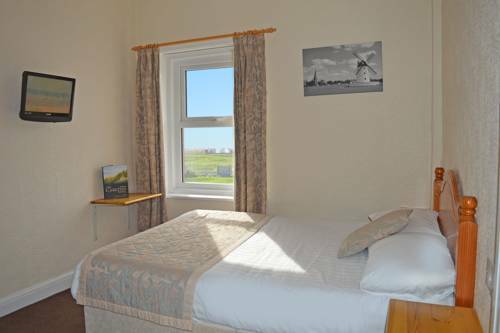 All have en suite facilities, and the guest house also offers free on-site parking. A luxury continental breakfast is offered each morning. The coffee bar also serves a full English and light meals menu. 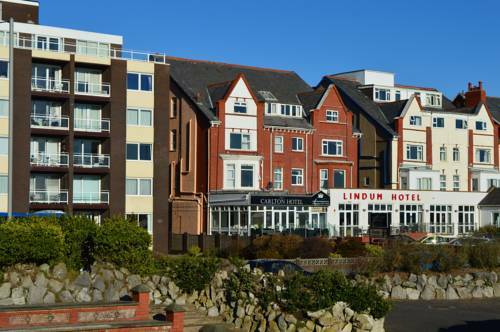 St Annes is a quieter resort than its northern neighbour Blackpool, and its attractions include 4 championship golf courses, and a miniature railway. A 30-minute drive to the east will take you to the city of Preston, which boasts award-winning restaurants, boutique shops and specialist markets. Royal Lytham & St Annes Golf Club was founded in 1886 and the present Course constructed in 1897. The Clubhouse celebrated its Centenary in 1998. It is one of the premier links courses in the world, host to ten Open Championships, two Ryder Cups and numerous other major tournaments including Woman's and Seniors Open Championships. Northern hospitality has always been famous and Royal Lytham leads the way. You will be made very welcome. It is renowned as a course on which is it hard to scramble a good score, after all, there are 200 bunkers peppering the fairways and surrounding the greens. Welcome to Blackpool International Airport: the convenient alternative for air travel to or from the North West. Blackpool Airport offers fast, efficient commuter services for the business community, and attractive destinations and schedules for short break and longer holiday travellers. Additional check in desks, large open plan seating areas and a wider range of retail outlets are just some of the new features that will provide passengers with a more efficient and enjoyable airport experience. In addition, a new extension, new dcor and greater use of natural light will help create a spacious and airy environment. The project is expected to be completed by February 2006. 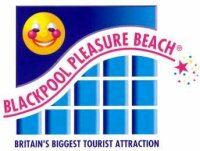 Blackpool Pleasure Beach is Britains Biggest Tourist Attraction whose mission it is to make adults feel like children again.The park is open from March until November, opening times do vary and please be aware that the times posted on this site are ESTIMATED. There are several ways you can enjoy the rides and attractions here at Blackpool Pleasure Beach: You can purchase an unlimited show & ride wristband at the park, or here online and dont forget these unlimited show & ride wristbands entitle the bearer to free entrance into a choice of our award winning shows.